and the Other Guys Slip Covers?" ...nothing. 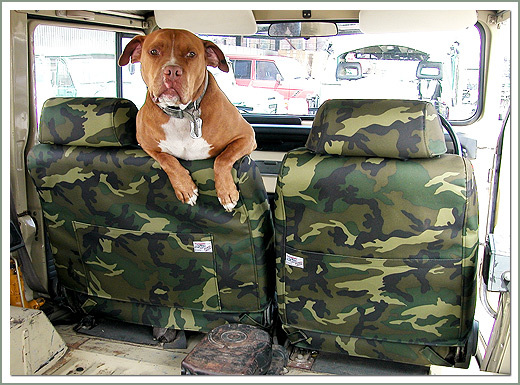 SOR Tuff Duck Slip Covers are the icing on the cake for upholstery. 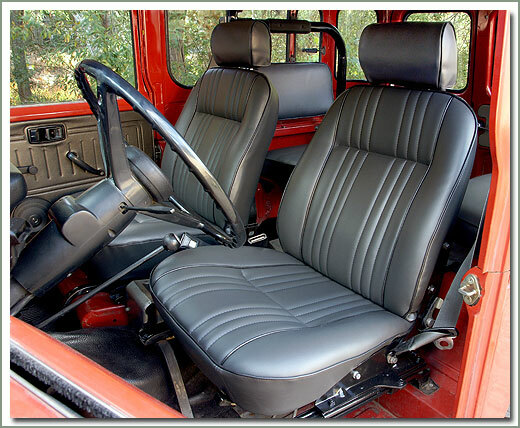 They’re designed to cover and protect your existing seat upholstery and keep the appearance of your Cruisers interior in A-1 condition. Heavy duty “Tuff Duck” material is made of a strong 600x300 denier, 100% poly textured duck fabric which is water and mildew resistant. 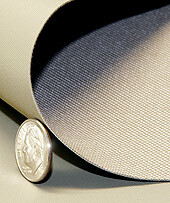 The material is then backed with a layer of PVC sealing the fibers. 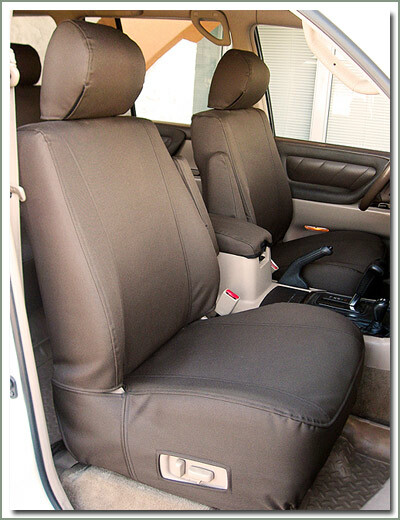 The result is an extremely durable composite fabric that is resistant to dirt, stains and normal wear and tear. 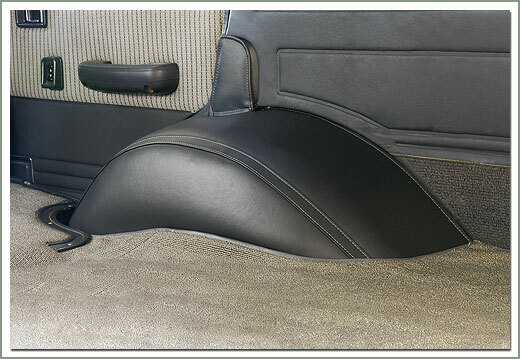 SOR Tuff Duck slip covers are more than just an easy cover up for worn out upholstery. 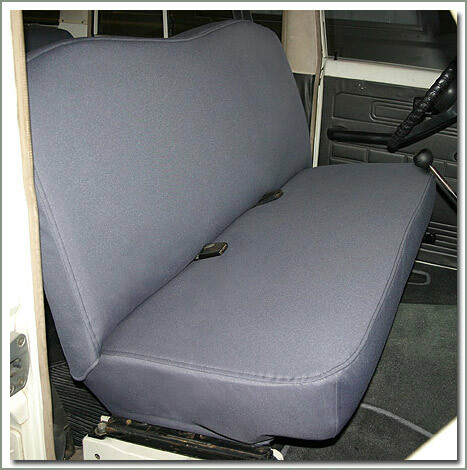 These slip covers are designed to help extend the life of your factory seat covers. 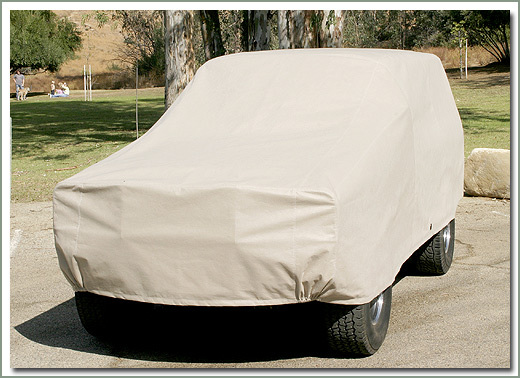 Our Tuff Duck slip covers are sewn with weather resistant nylon thread. 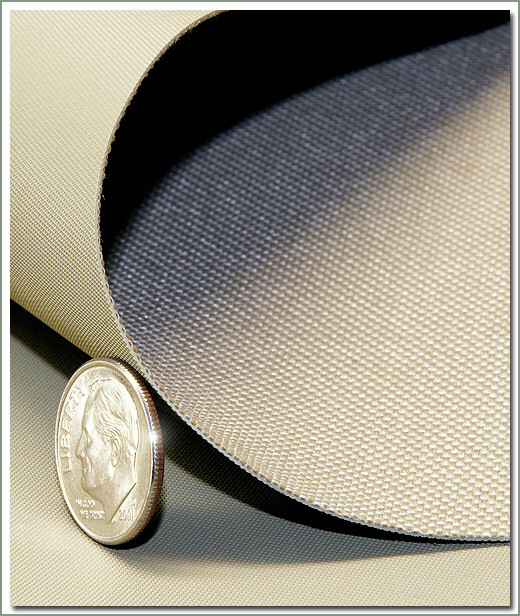 The seams are double top stitched for extra strength. 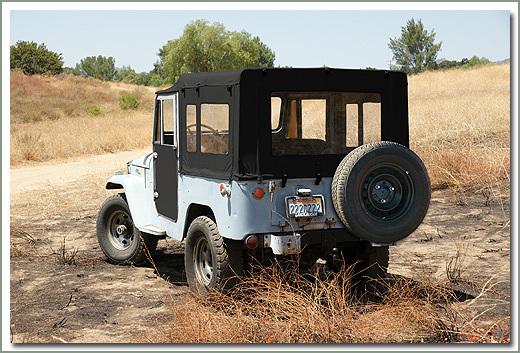 All SOR Tuff Duck Slip Covers are custom tailored fit to your model like a glove. 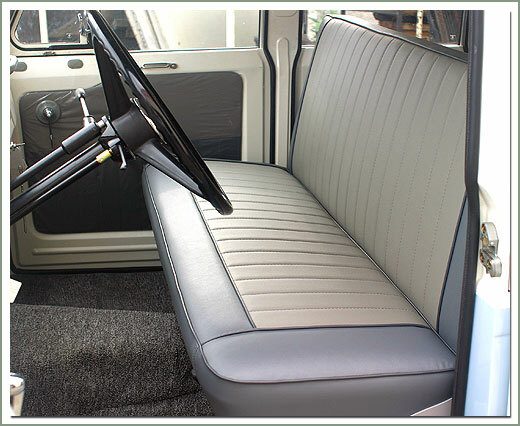 They retain all seat functionality, folding and adjusting without removing the slip cover. 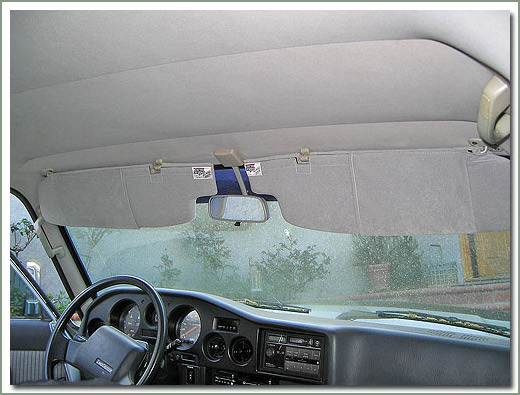 If you have children and pets and really use your Cruiser, you need that extra layer of protection. 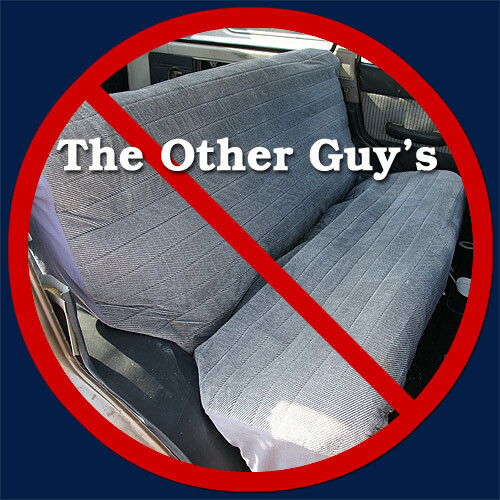 Keeping your factory upholstery looking new maintains resale value of your vehicle. 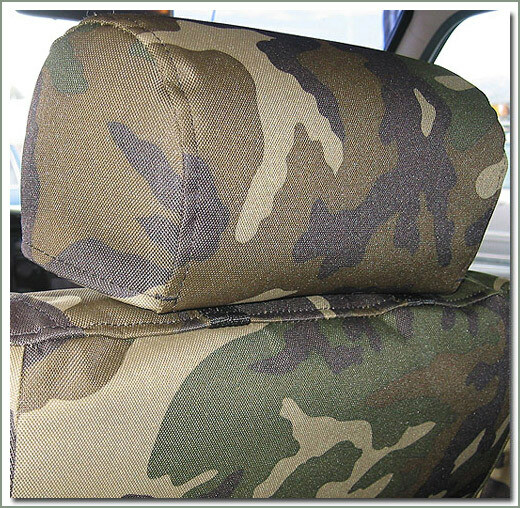 An added feature of SOR slip covers is the large pocket sewn to the back of the seat cover, handy storage for all kinds of things. 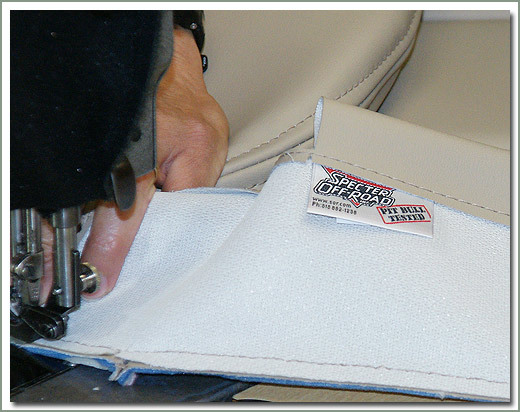 We put as much attention to detail in our slip covers than other companies put into their upholstery. See page 309 of the SOR Catalog. 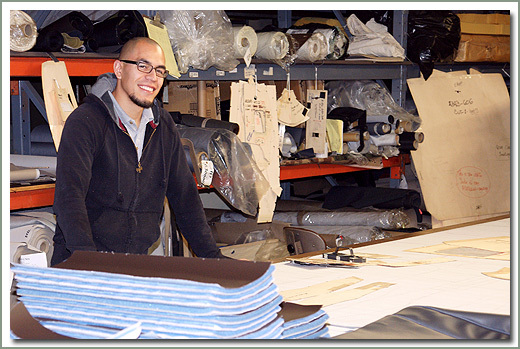 At Specter Off-Road upholstery isn’t all we sew. 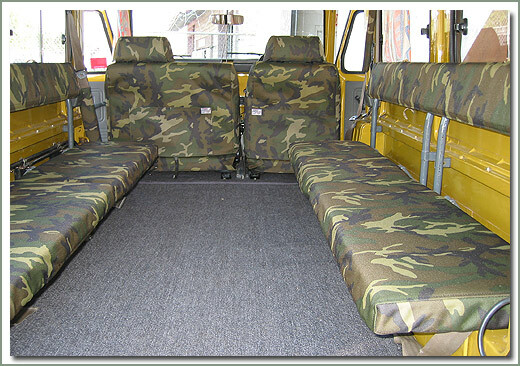 Sure along with seat covers we sew, carpet sets, slip covers, dash covers and headliners but we also produce car covers, soft tops, roll bar pad covers and much more. And we're adding new products all the time. 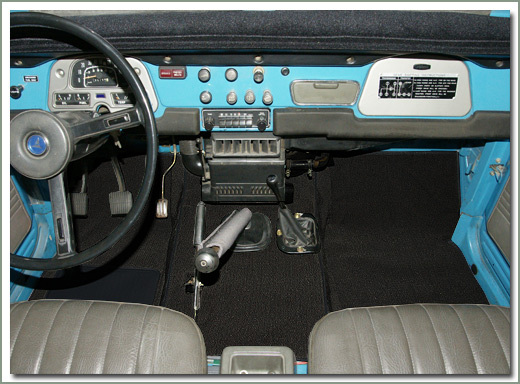 We believe that because your Land Cruiser was built to span generations our sewn products should endure as well. 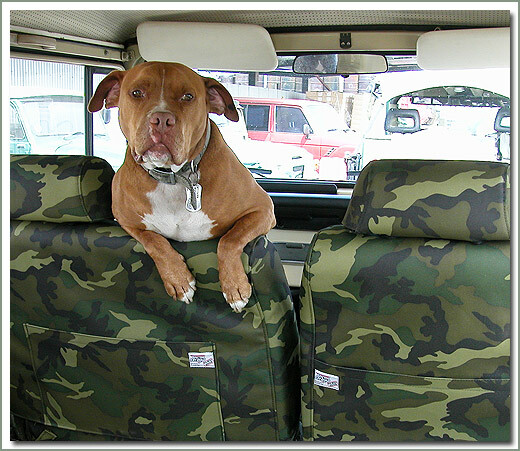 When you see the "Pit Bull Tested™" label you can be assured you are getting a quality handcrafted product made for your Land Cruiser. 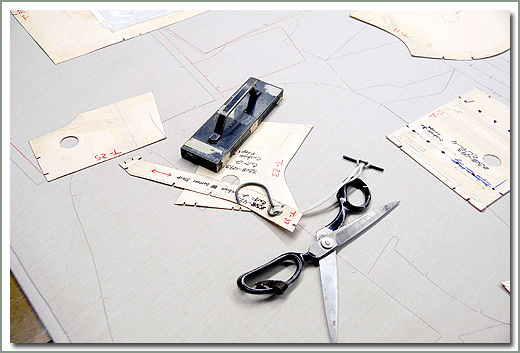 Visit the Sewing Department Portal to see what’s available for your Cruiser. 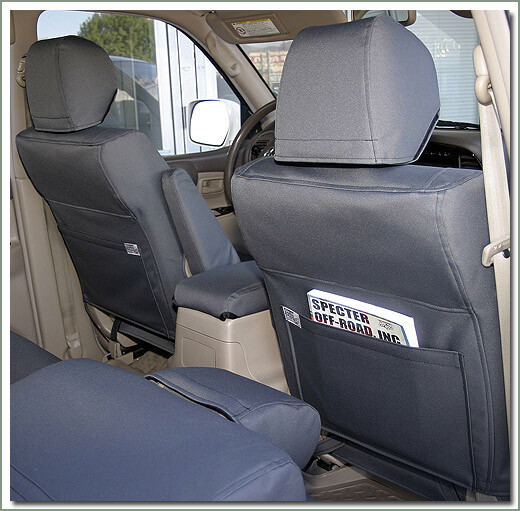 Specter Off-Road is committed to bringing to market products that extend and enhance Land Cruiser driver-ability and comfort. 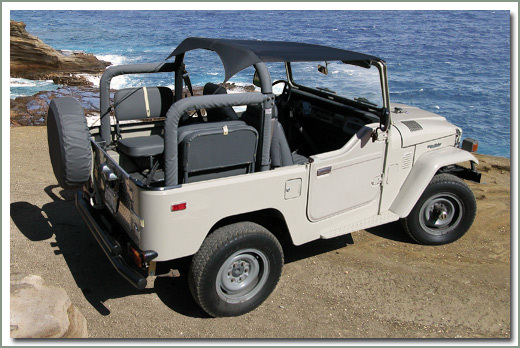 We are committed to preservation supplying quality restoration products for your Land Cruiser—bumper to bumper, inside and out. 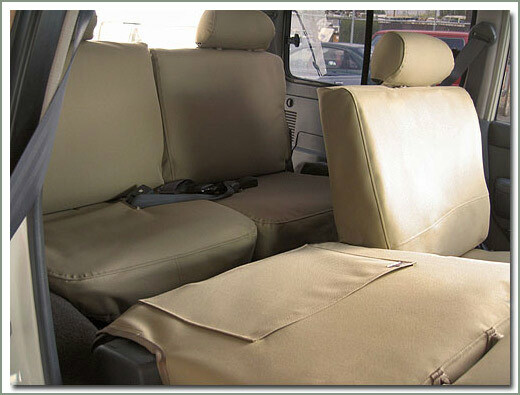 We believe that because your Land Cruiser was built to span generations our upholstery products should endure as well. 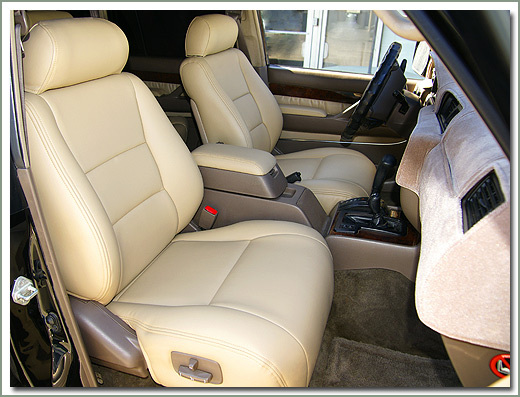 Our skilled upholstery professionals set the precedence for quality in the Land Cruiser community. Beginning with precise patterns and sewn with durable Nylon thread, every item we sell is tailored to its specific application. 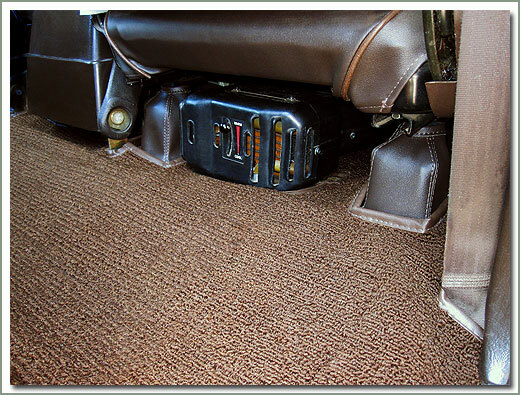 Custom fit floor to ceiling we ensure that the quality of the materials we use match your Land Cruiser's original color and durability. 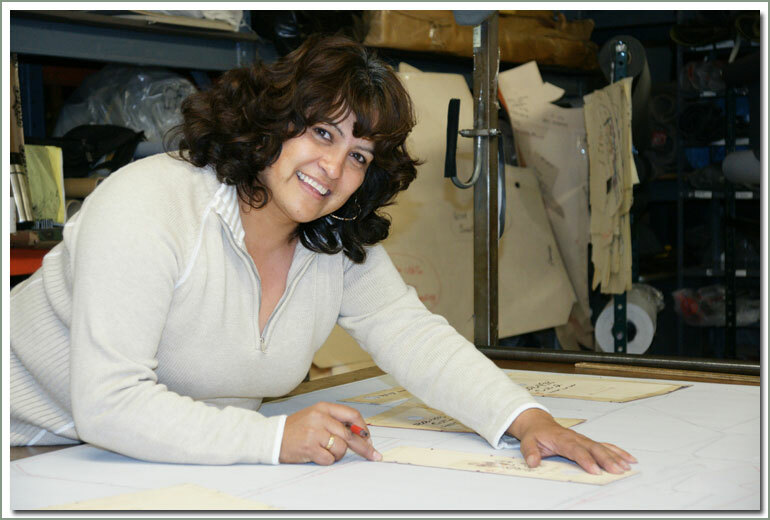 Made by SOR means that there are over 70 combined years of design and production experience in everything we sew. When you see the "Pit Bull Tested" label you can be assured you are getting a quality handcrafted product made for your Land Cruiser produced on the premises of Specter Off-Road. 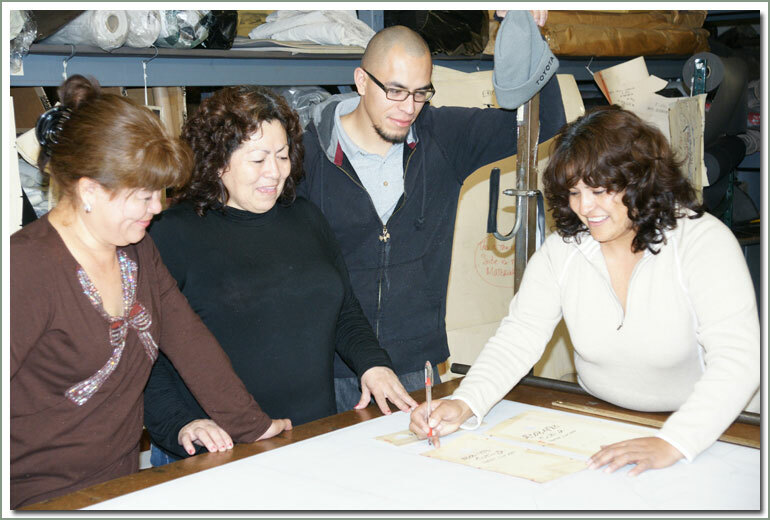 We control the quality from design until the last stitch is sewn. 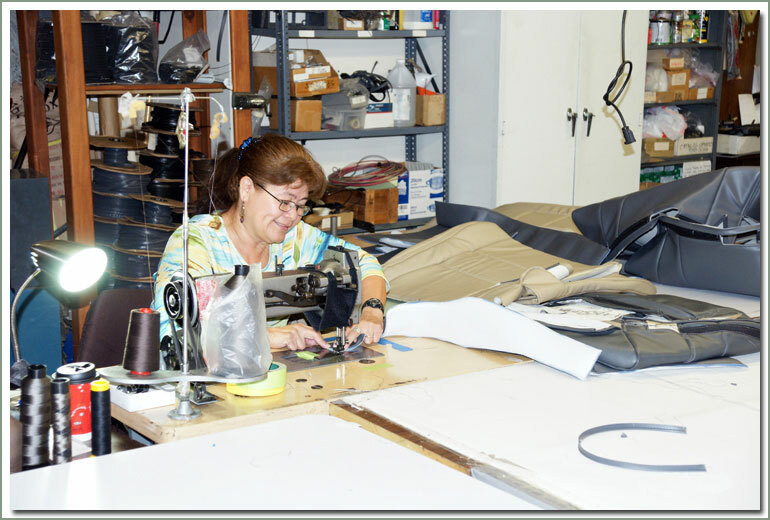 Along with reproduction upholstery products, the sewing department at Specter Off-Road manufactures products to keep your Land Cruiser like new. 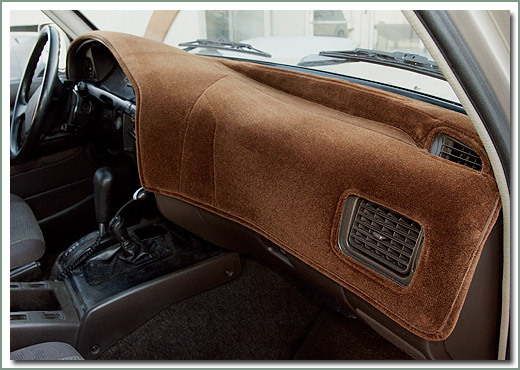 Carpet sets, slip covers, dash covers, car covers and more, and we're adding new products all the time. Check the menu links at the top of this page to see what's available for your Cruiser, you'll be amazed. Whether restoring or just repairing SOR has everything you need to keep your Cruiser show room fresh.